A co-op action game created by Hazelight studio seems a touch too unrealistic. Prison rather resembles a resort: no bars on the windows, prisoners are allowed to wear belts with buckles, and guards are such dorks that they won’t notice you stealing a chisel. Characters‘ behavior isn’t realistic either – as they gain freedom, they nonchalantly go about their business: they go fishing, play banjo, treat themselves to a game of darts, visit their relatives and basically paint the town red. Is there anything remotely realistic in this game? To find that out we compared the plot of A Way Out and some infamous prison breaks in USA. The movie fans must’ve already noticed the game’s references to The Shawshank Redemption and Escape From Alcatraz. The first one is based on a fictional novel by Stephen King, but the second one is based on actual events. 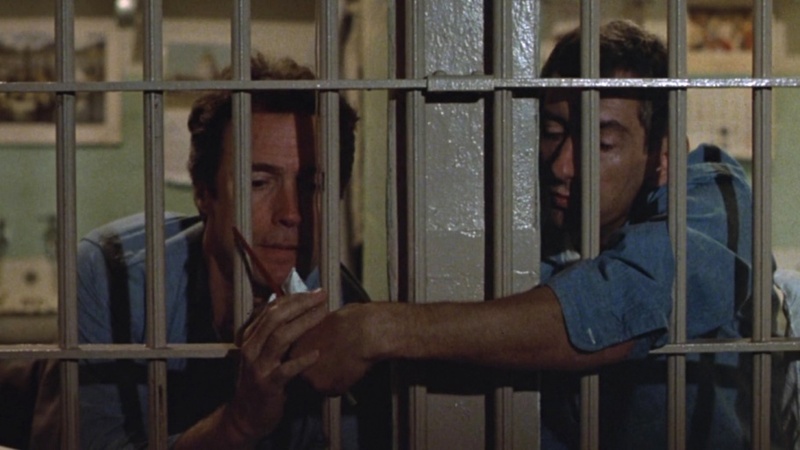 Escape From Alcatraz is based on a major escape attempt that took place in 1962. 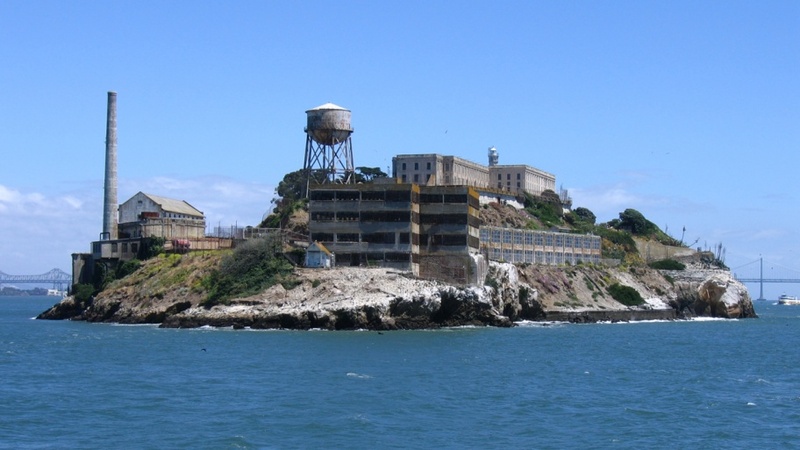 Mind you, that Alcatraz was thought to be the most secure prison in the USA. Alcatraz itself may look pretty, but don’t let the landscapes fool you. Alcatraz had welcomed its first prisoners in 1861 when this place served as a camp for prisoners of war. One hundred years after there was the first somewhat successful escape attempt. Surely, some people tried leaving the place before that, but they were either caught or shot. Sometimes their corpses were found in the water – there were no way to reach the outer land in such cold waters. Despite all the difficulties, prisoners kept inventing creative ways of escape: a robber named John Giles just walked out of the gate in an army sergeant uniform that he stole from the laundry. He wasn’t the only lucky one: John Paul Scott used an abrasive cord to saw the bars in the basement and managed to swim to San-Francisco on a float made out of rubber gloves. But even these sly dogs were caught eventually. 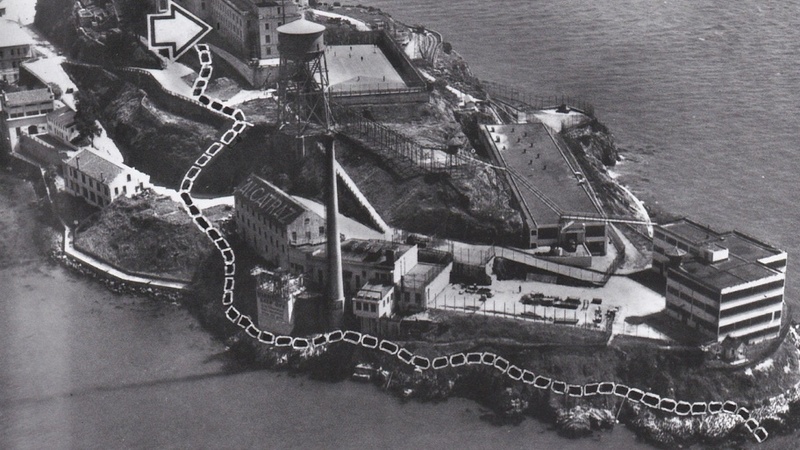 The legend of Alcatraz was debunked by Frank Lee Morris, who was transferred there in 1960. By the time of arriving at a new prison, he already attempted escape 11 times, and 2 times he got away with it. And he just had to happen to be located in cell block “B” which had an unguarded utility corridor perfectly fit for escaping. A Way Out characters had to break walls discreetly behind the toilets, and Frank began to break the concrete around the grate in the floor which was already pretty weak. The main hero of the Escape from Alcatraz was played by Clinton Eastwood. It’s hard to crawl trough the tunnel up to the roof – danger was everywhere, there were even barrels with tear-gas in the kitchen. So naturally Morris had to get some sidekicks. He made a deal with Allen West, the car thief from the next cell, to keep an eye on the wardens. Their companionship made it’s way to the movie and to A Way Out as well. The only difference here is that the real escapees used to break the concrete with some cutlery and an improvised drill made of a spoon, a vacuum cleaner motor and some silver solder made out of a dime. The other nuisance that bothered Frank was the open water between the island and the coast that had killed many unlucky escapees before. For example, Theodore Cole and Ralph Roe met such grim fate – they had tried to reach San-Francisco by swimming and holding onto empty fuel cans and tires, but they had most likely drowned. The bodies were not found but an experiment carried out by professional swimmers showed that chilly winter and heavy fogs make the swimming impossible even for the professionals. So, obviously, it’s better to make a run for it during the summer, and it’s wise to make a raft beforehand. This issue was dealt with by Morris’ friends, John and Clarence Anglin – one of them was good at sewing and could steal the waxed raincoats. Escaping the prison block is just step one. This picture shows the prisoners were making their way to the opposite side of the island – there were no searchlights here. Alcatraz administration allowed the prisoners to read magazines and practice painting. Both of these loopholes allowed Morris & co. to make fake prison bars from papier-mâché. They even made realistic full-size mannequins with hair stolen from the hairdresser’s by the Anglins. The whole preparation took about 6 months – during that time they’ve rehearsed the escape a few times and guards didn’t even notice the mannequins. The night of June 11th, 1962, was the historical date – the prisoners executed their plan. Everything went according to plan, and only West had a mishap – his fake prison bars kept falling apart. Morris advised him to use concrete to strengthen it but it backfired – while West was busy breaking the props, his mates managed to get to the roof. With little belongings they had the team made it to the water. There they used a concertina – a small harmonica - to blow up the improvised raft made from 50 raincoats. And that was that. Reconstruction of the scene in Alcatraz museum is not entirely true: the real prisoners even cleaned their mess and set up the fake bars. Frank Morris and Anglin brothers got a 9 hour leeway – enough time to drop off the radar. They were proclaimed drowned AND wanted simultaneously. The details of the plan were extorted out of West and so all the charges of escape attempt on him were dropped. In less than a year after the escape the prison got shut down as it was way too expensive to keep running. Nowadays Alcatraz serves as a museum. The first team lead by Frank Morris was working together and everyone did their part. So it’s hard to imagine one person could carry out such a complex operation. But this person does exists – in 2001a robber, car thief and fanatical anti-abortionist Clayton Lee Waagner escaped a prison in DeWitt, Illinois. 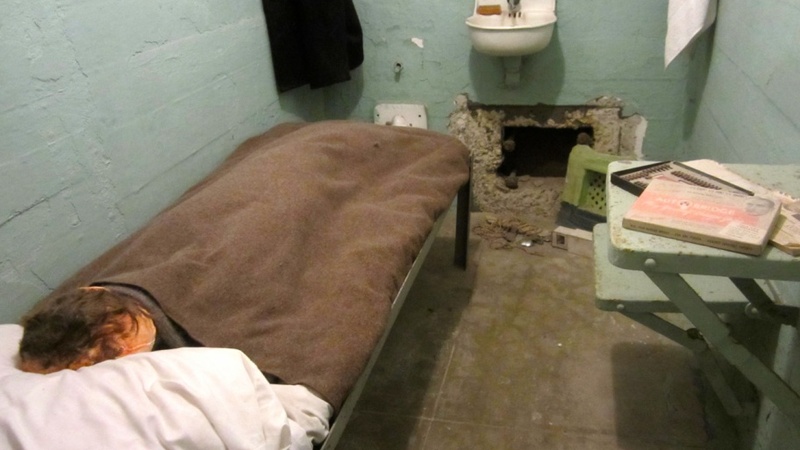 This prison was thought to be as escape-proof as Alcatraz in the 60’s. Morris at least used a spoon to break the concrete, but Waagner managed to make do with a plastic hairbrush – he used it as a pick-lock to open the door from his cell to a utility tunnel. He did it in a span of two month, though. Then he began taking occasional short trips to the hall to study the maze of pipes and search for possible ways out. Clayton had to do this all alone, so he learnt the pattern of warden shifts and always check the time spent outside the camera – each trip lasted about 20 minutes. FBI leaflet promising 50.000$ for assistance in apprehending Waagner. Unfortunately, in the tunnel Clayton met a new problem: the only way to freedom was through the drainage pipe that was way too narrow for him. In the next months he lost 12 kilos on a strict diet. During that time he kept checking the tunnel and kept unscrewing the rivets off the grill by bare hands. Now compare this to the game – Vincent and Leo from A Way Out had to find a wrench for this task. Waagner’s work was slightly more impressive. On the night of January 22nd , 2001, Clayton climbed up the pipe, squeezed through the hole on the roof and jumped 6 meters down. The whole escape took less than 10 minutes as he rehearsed it countless times. 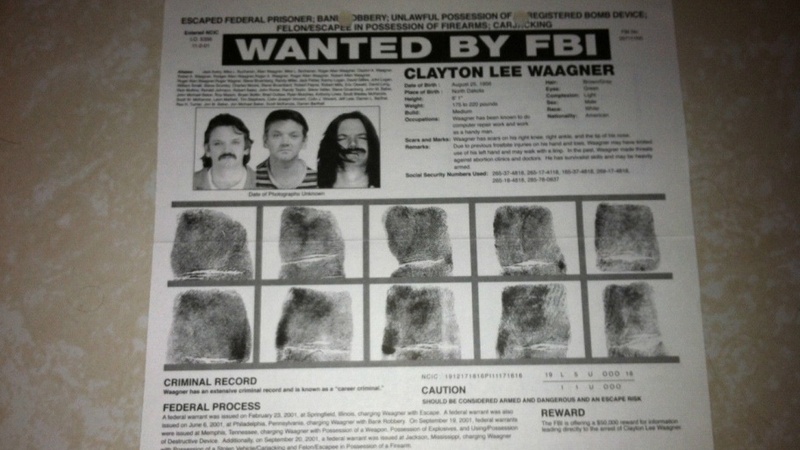 The government was trying to catch Clayton for almost a year – till December of 2001. He was in the top 10 most dangerous criminals in USA and still managed to hide pretty successfully. Waagner got backfired by his fanatical restlessness and arrogance: he was apprehended in an internet-café with a list of abortion clinics and a ton of explosives and guns. Given the danger that he posed on society, this criminal will stay behind the bars till 2046. The game takes place in the early 70’s, but what would happen if Vincent and Leo lived in this day and age, say, in 2015? There’s another real story – this time it’s about Richard Matt and David Sweat escaping a prison in Clinton, Mississippi. The prison record had no escapes for 150 years, and for good reasons: it is known for high security and reliable surveillance system, besides, the prisoners themselves are all violent killers and kingpins. Both Matt and Sweat fit the place well: one of them committed numerous acts of robbery, kidnapping and torture, and the other was imprisoned for shooting a cop. It’s a wonder that they were so inspired by both The Shawshank Redemption and Escape From Alcatraz, where characters managed to escape quite successfully. Both criminals were quite acquainted with art: Richard was good at drawing and even taught David for some time. During one of the art lessons they decided to escape. In order to achieve necessary tools they befriended workshop unit workers and even some wardens – it is believed that Matt seduced Joyce Mitchell, the prison officer. And she was a married woman, mind you. 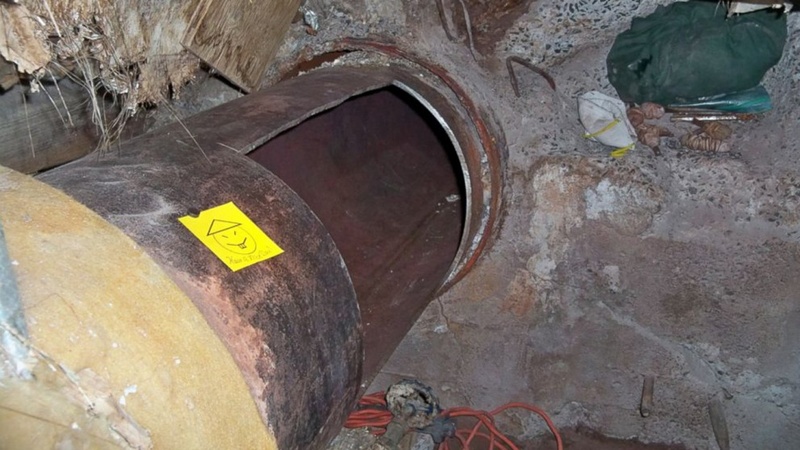 She helped them acquire knives and chisels with which they made a hole to a technical compartment connected to the public sewers. The movie showed the pipes to be weaker than they actually were – in reality it was impossible to break them with a rock. Seducing a female prison officer is quite a task that has to be done by all means necessary. 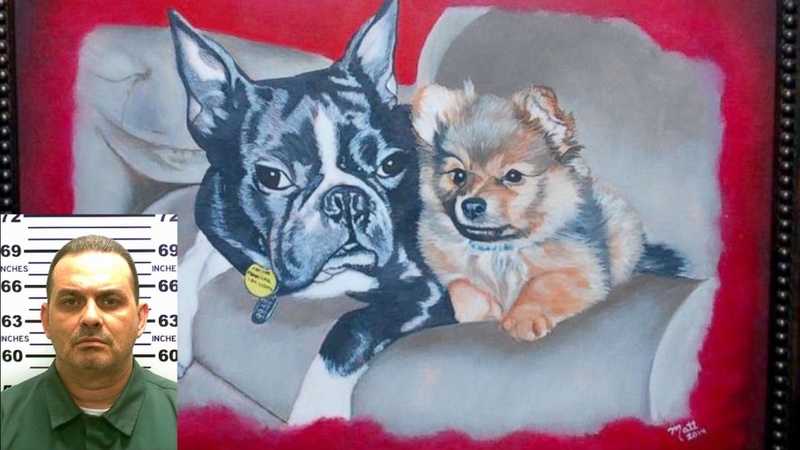 Richard Matt, for example, made a few paintings of her pets – what woman would resist that? The criminals had to get a circular saw. When they finally got it, they already had worked out a way to make less noise during the break. Following the example of Frank Morris and Anglin brothers, Matt and Sweat were working in turns, leaving the pile of clothes resembling the bodies under the sheets. As soon as they made a hole in the pipe, they’ve began their journey to freedom with a packet of food, a razorblade and a pack of black pepper. It happened on June 6th in 2015. Oh, by the way, they even left a note with a smiley face and a few words: “Have a nice day”. The very same pipe and the note. Matt and Sweat used the pepper to get away from the officer dogs in the woods. They slept in turns, navigated by stars and used all the guerrilla methods of survival from the movies. As they went deeper into the forest, they adopted quite a carefree lifestyle – just like Leo and Vincent from A Way Out. The hunters’ cabins in the forest provided them with weapons, pasta, peanut butter, moonshine and cannabis. Well, that’s all you need to have a good time, right? All this cannabis wasn’t wasted in vain – the criminals were 40 miles away from the Canadian border but then turned back and decided to make their way to Mexico. More than 1 500 police officers cordoned off the area and set up the roadblocks. The story made it’s way to the news all over the world. Richard Matt got cornered on June 28th: he was hiding among the trees but outed himself with a cough and was shot by a sniper. The autopsy showed that he was dead drunk. David Sweat was apprehended a few days later. During the questioning he confessed that he wanted to abandon Richard as he was getting drunk too often and was causing a lot of trouble. David was sent to the maximum security prison in Five Points, Manhattan. The story of Matt and Sweat is remarkable, but it’s not one of it’s kind. Otis Blunt and Jose Espinosa followed the same cinematic plot in their escape plan. So, the life itself proves that A Way Out has some realism in it. Sometimes life imitates art, and sometimes it's the other way around.